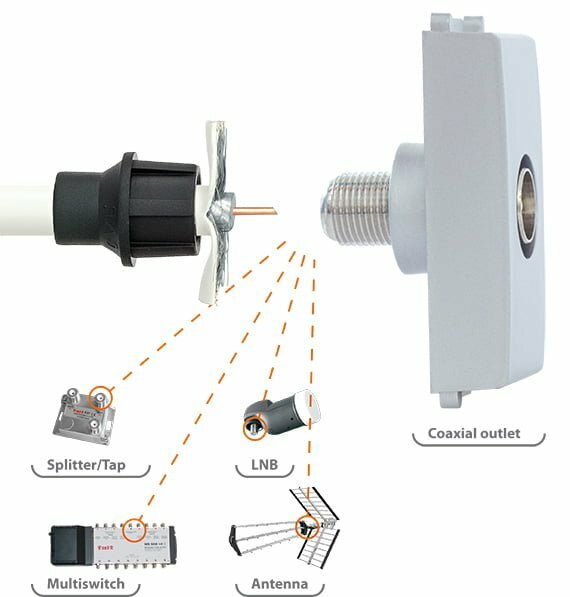 CaP is a direct replacement of any traditional F male metallic connectors, either screw-on, crimp or compression type. For this reason it can be used to connect directly onto any device equipped with F female connectors. By not using the standard F metal connector you take away the main part of the connection therefore you remove all interferences in the radio-frequency signal transmission. CaP, being non-conductive, is the best and only solution to firmly connect a cable to a device, with a single and direct contact of both centre conductor and braid. 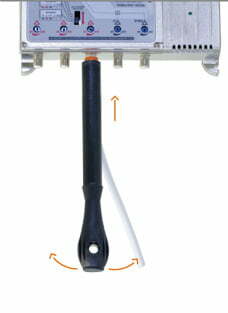 To allow for an easier installation of the CaP onto large devices, in restricted spaces or when F female connectors are placed very close together, we developed a specific inserter/extractor tool (Pu-PuCaP). 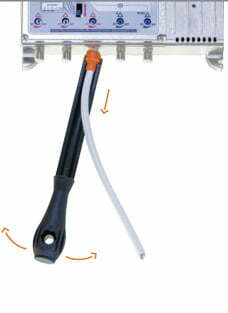 After having prepared the cable (see instructions here), insert the CaP in the specific groove positioned at the top of the Pu-PuCaP and insert the central conductor into the F female connector. Slide the CaP over the F female, thus folding the braid and the jacket over the thread. Terminate the connection by swinging and at the same time pushing forward the Pu-PuCaP up to the complete insertion of the CaP onto the F female connector. 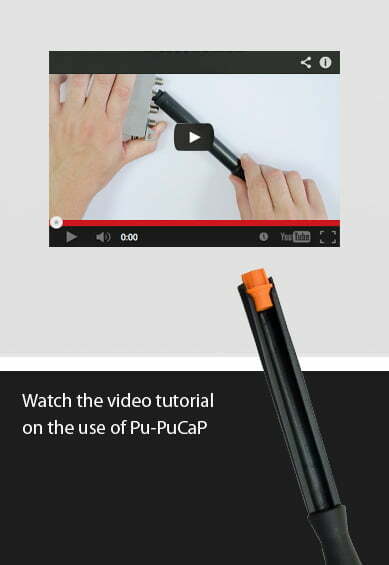 Hook the Pu-PuCaP on the CaP by means of the specific groove of the tool. Swing and at the same time pull down the Pu-PuCaP up to the complete disconnection of the CaP and the cable from the device.